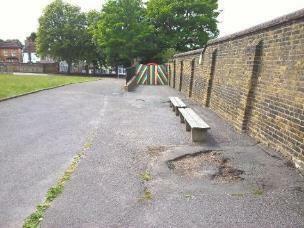 Gallions Mount Primary School had a failed playground retaining wall which was situated on Granite Street which is the schools North boundary wall adjacent to a public highway. 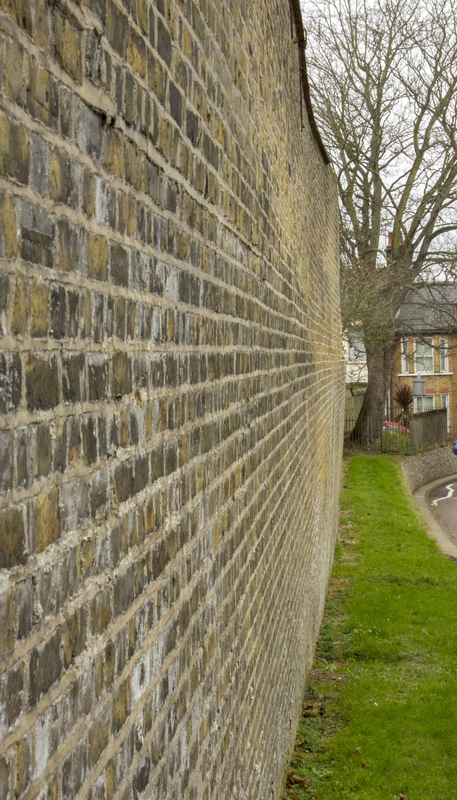 The existing brickwork retaining wall also shows signs of distortion, especially over a 20m central section of the wall. 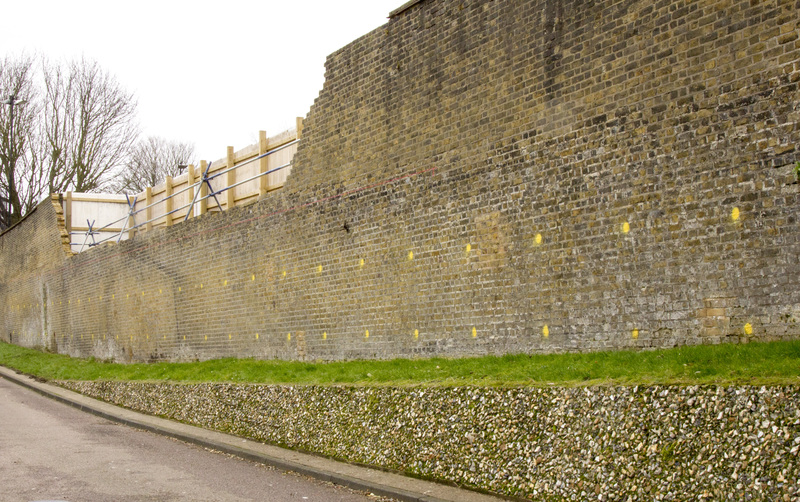 The proposed remedial works required the installation of a Vulcan Earth Anchor System over a 50m length to stabilise the structure and limit further displacements. Anchor Systems tendered the project with Hasbridge Construction for the design and supply of the Vulcan Earth Anchors. Once the project was awarded Anchor Systems (International) Ltd (ASIL) supplied a design for the Local Stability analysis based on the Mackintosh probes data that had been taken from the borehole results. 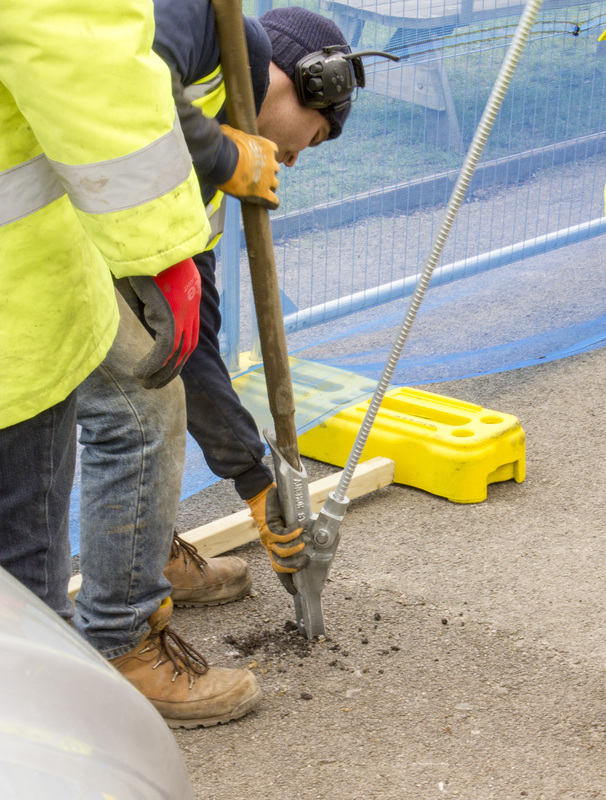 ASIL also provided for a 60 year design life for the Vulcan Earth Anchors by the use of stainless steel materials in the construction of the anchors. We worked with Hasbridge Construction to initially formulate the installation and testing regime for the proposed Vulcan Earth Anchor System. We attended site during the test Anchor installation to supervise and document the test. As a result of a successful load test the complete ground anchors were supplied and installed for the whole project. 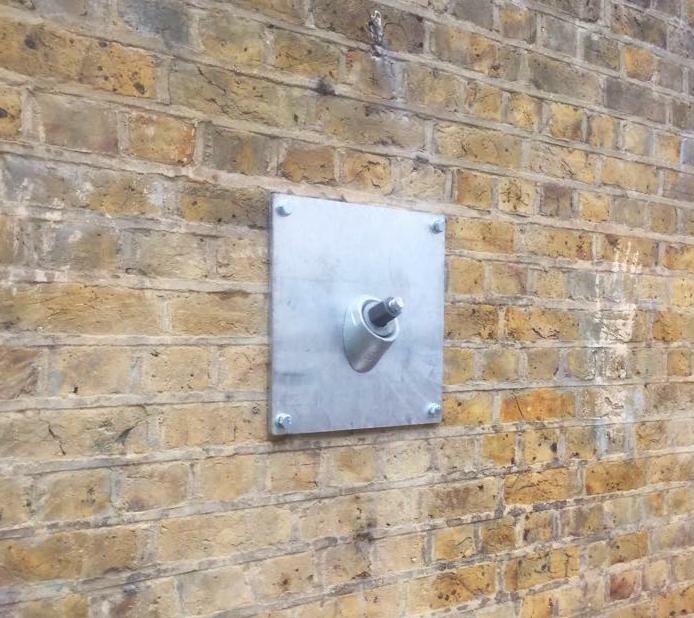 The Vulcan Anchors were installed at 30 degrees inclination from the horizontal and finished with galvanised pattress plates that were permanently fixed to the retaining wall.